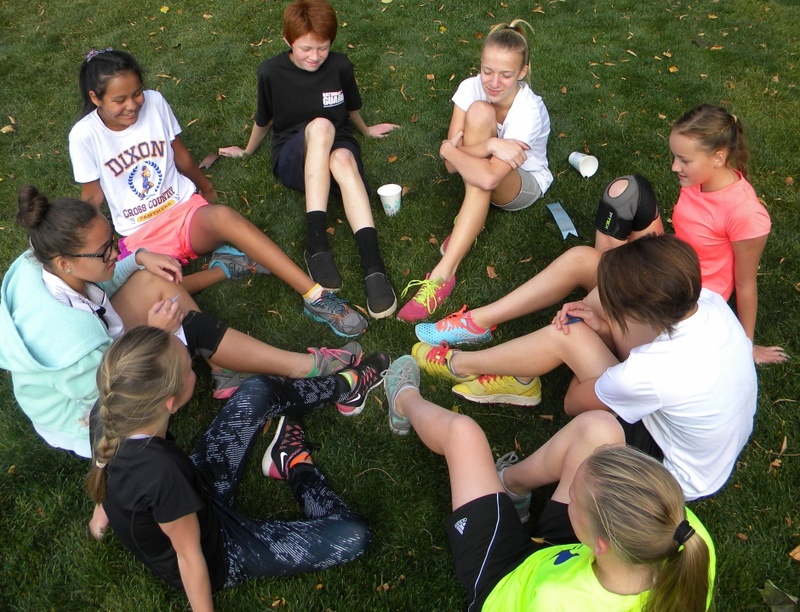 On Tuesday, October 27, Dixon students joined the Provo Pups and students from Centennial for Provo’s annual cross country race. 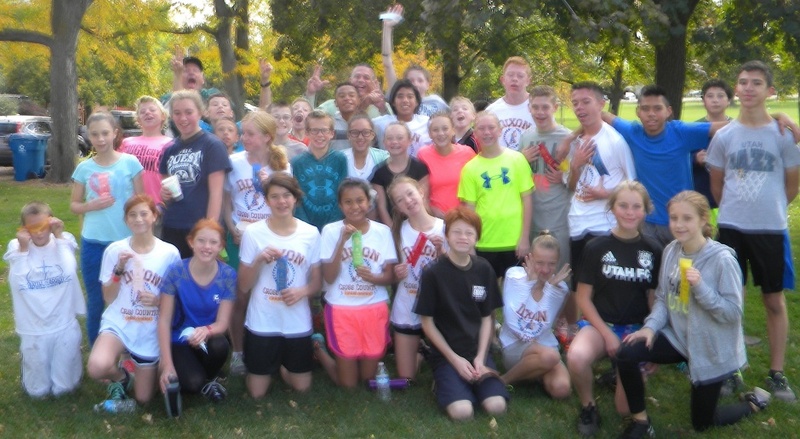 The race took place at Kiwanis Park in Provo, and had four divisions: 7th grade girls, 7th grade boys, 8th grade girls, and 8th grade boys. Dixon students won all four categories, making it a complete sweep for our school! Our students relaxing after the race. In the 7th grade divisions our winners were Cassidy Fife and Daeshawn Lee, who won the girls and boys divisions respectively. 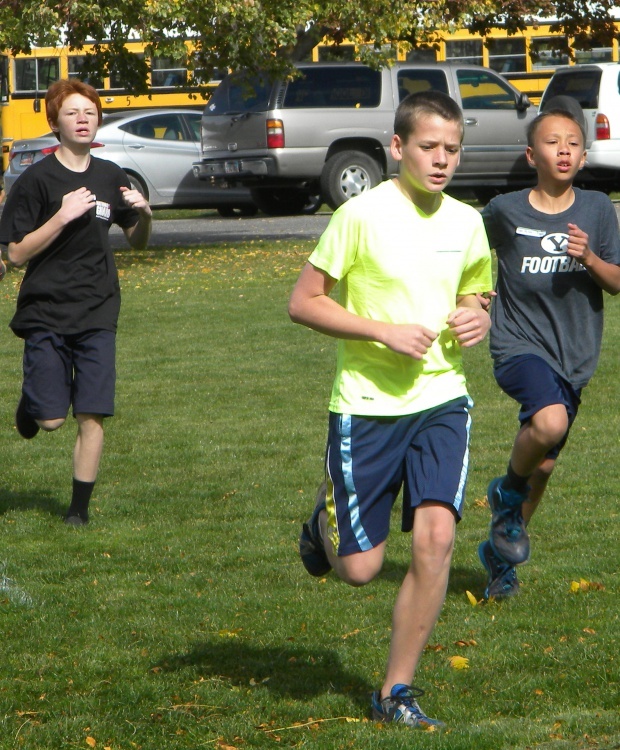 Haley Konold won the 8th grade girls division, while Tre Baca won the 8th grade boys division. We have posted a the list of the top ten winners, complete with dates and times below. Congratulations Dixon panthers for living up to our mascot! 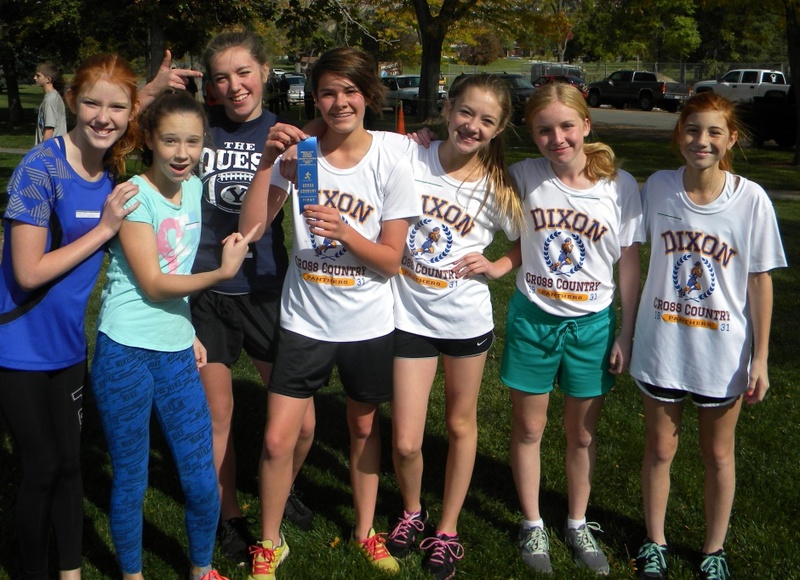 Cassidy Fife, center, shows off her first place ribbon. 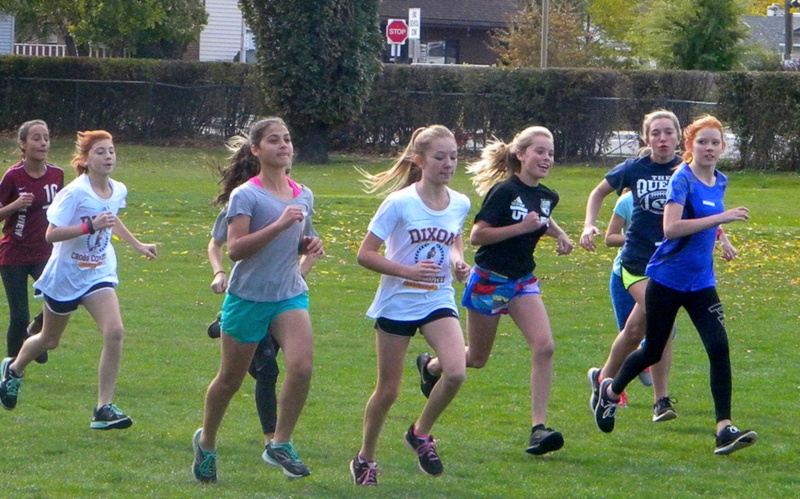 8th grade girls racing for the win at the district’s annual cross-country meet. 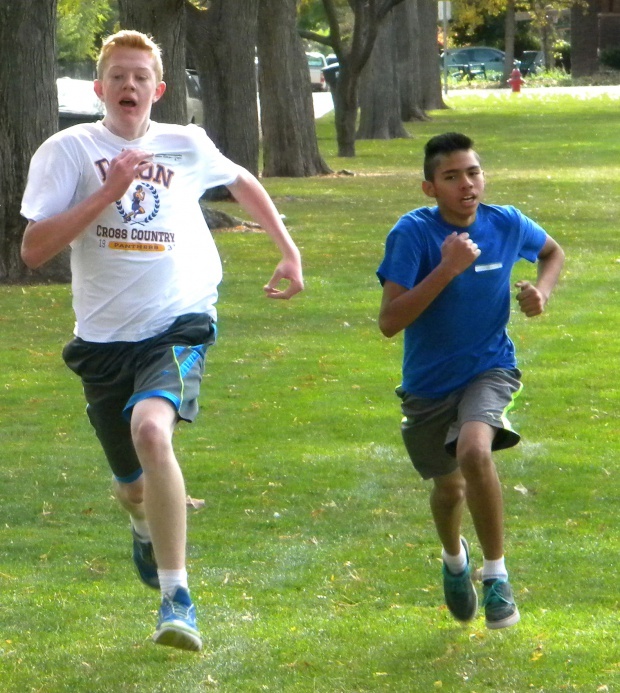 Mason Robinson, left, and Leva Rosalas, right, race for the finish line.